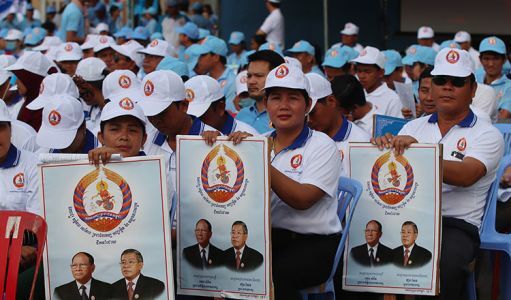 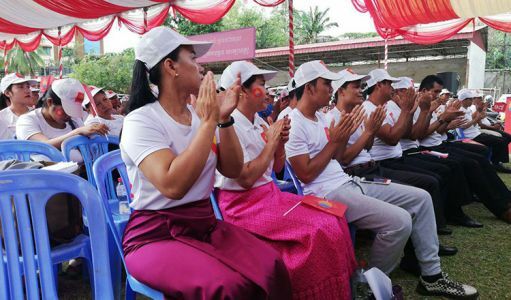 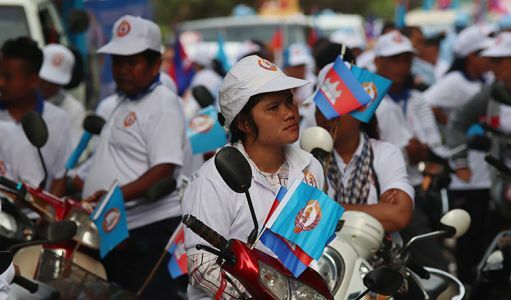 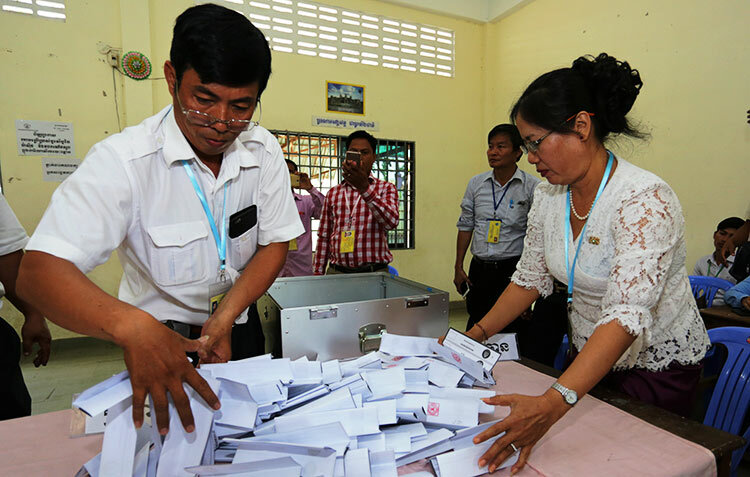 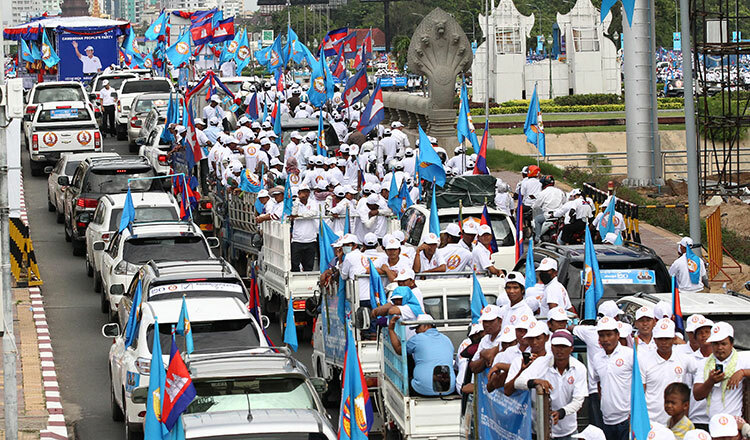 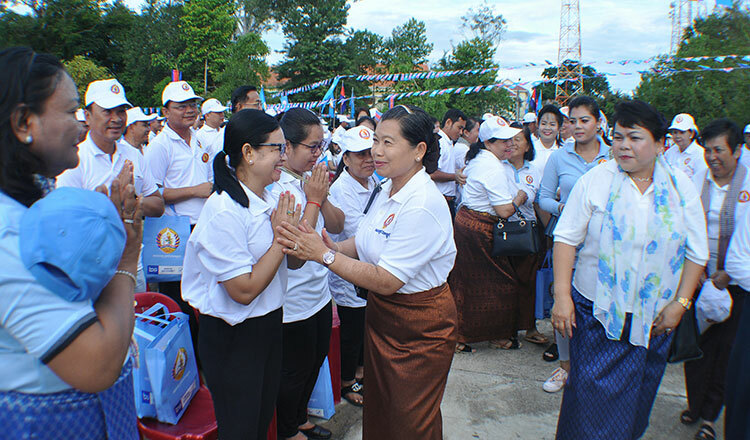 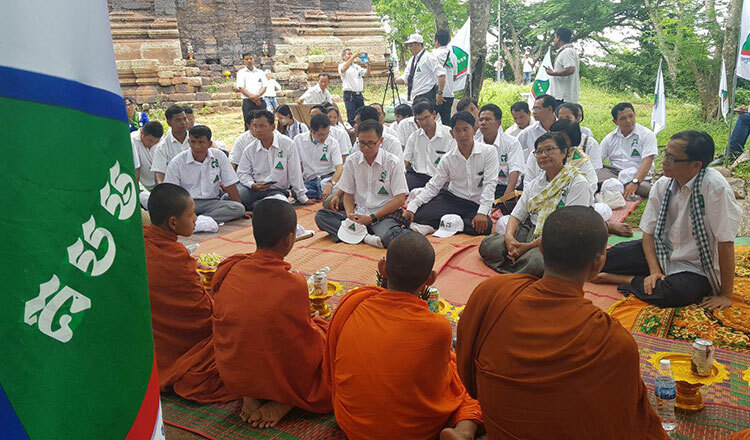 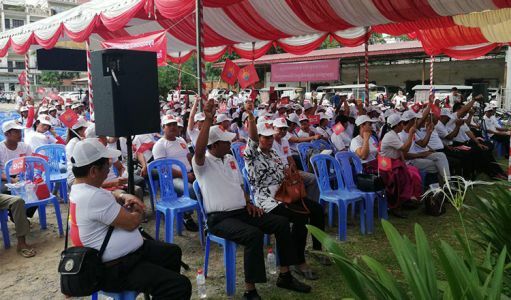 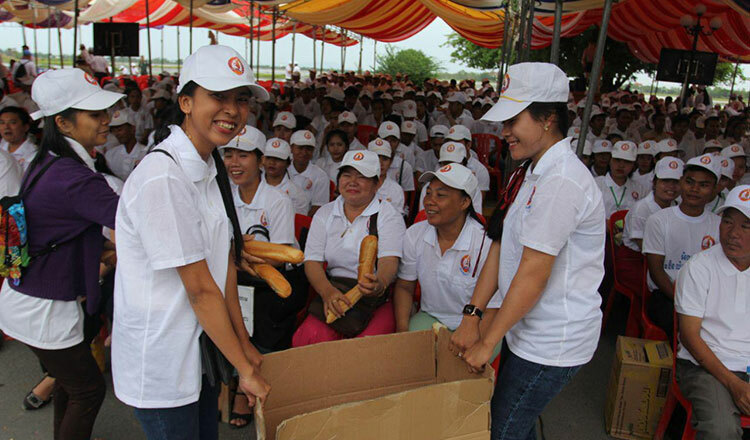 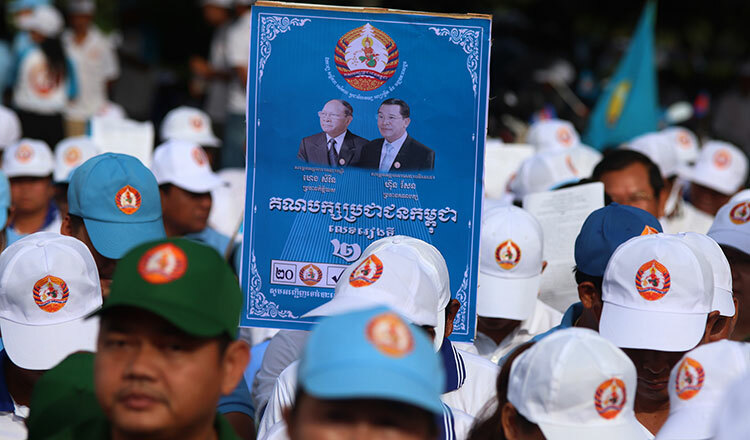 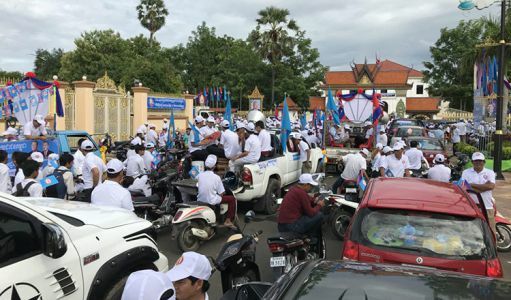 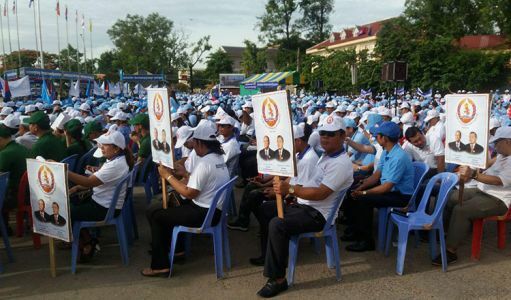 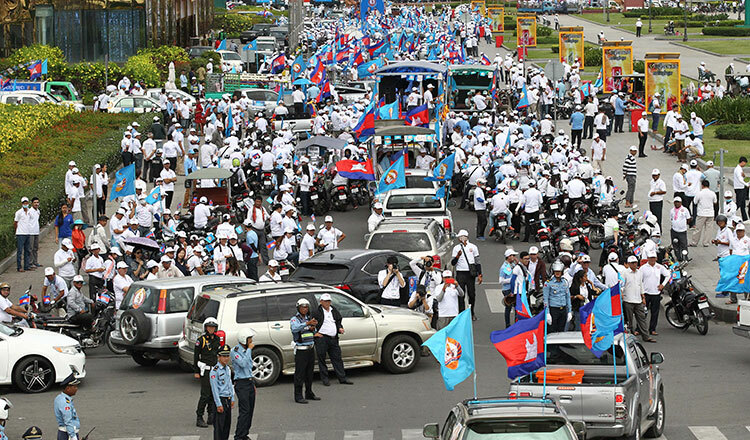 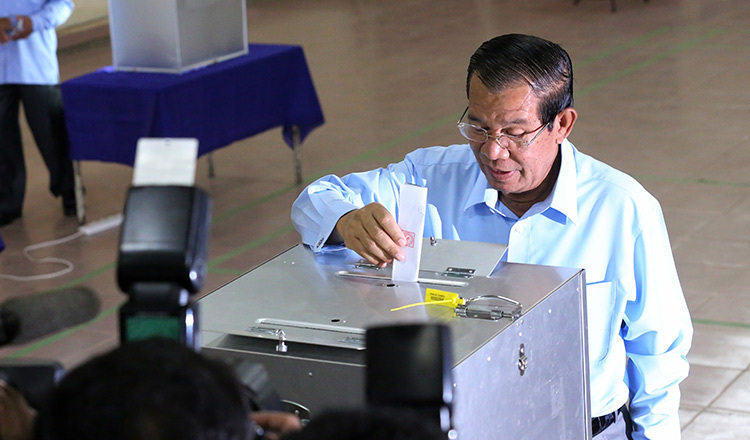 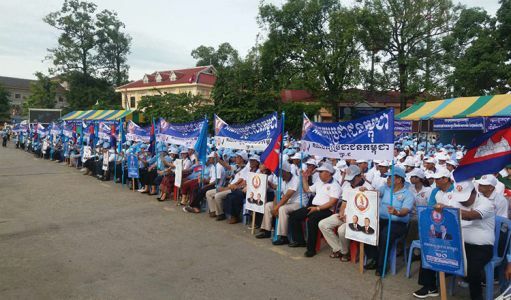 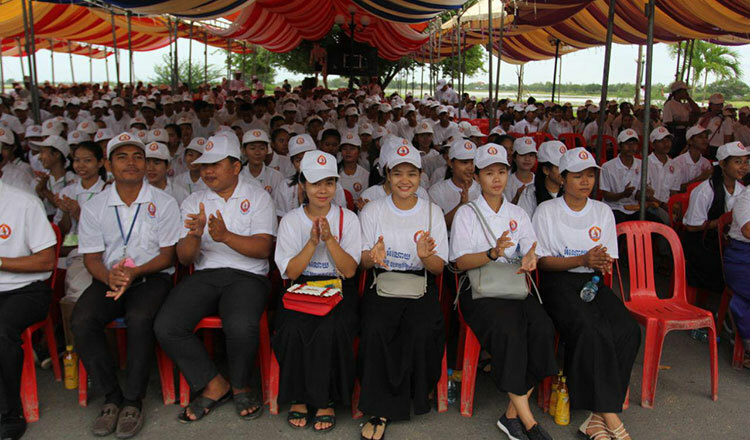 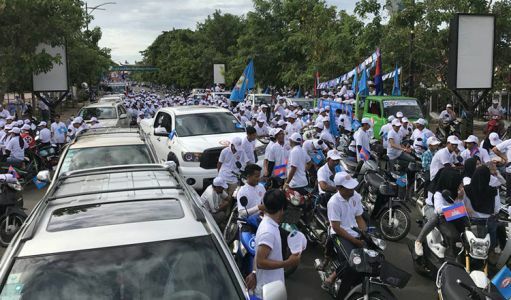 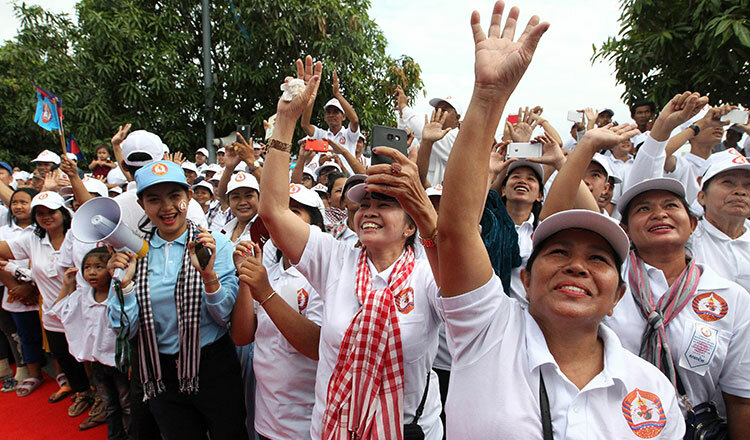 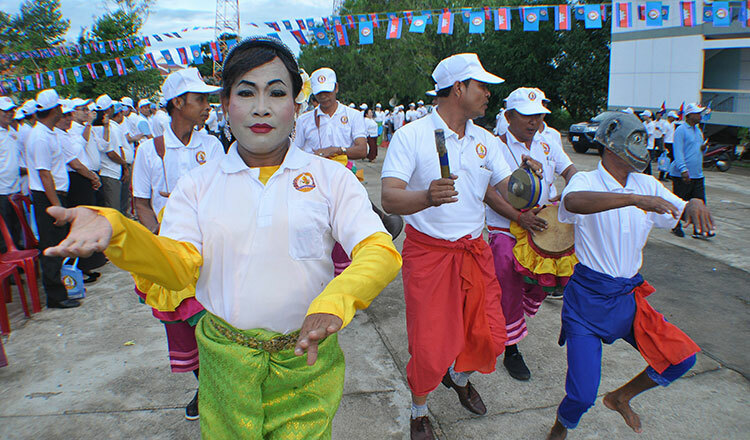 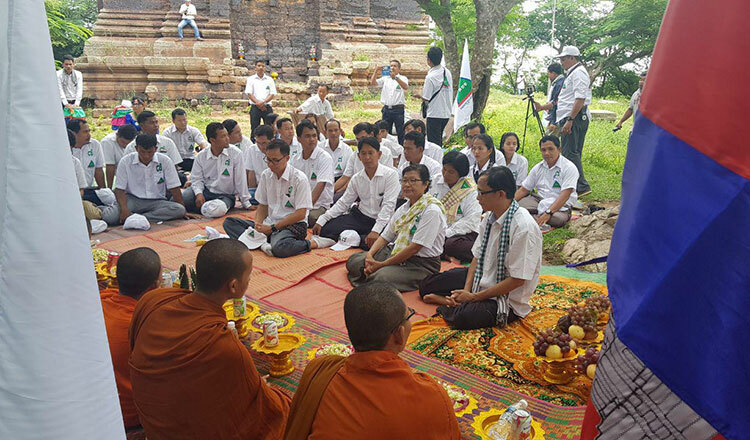 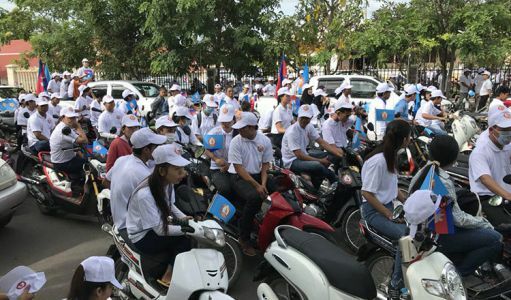 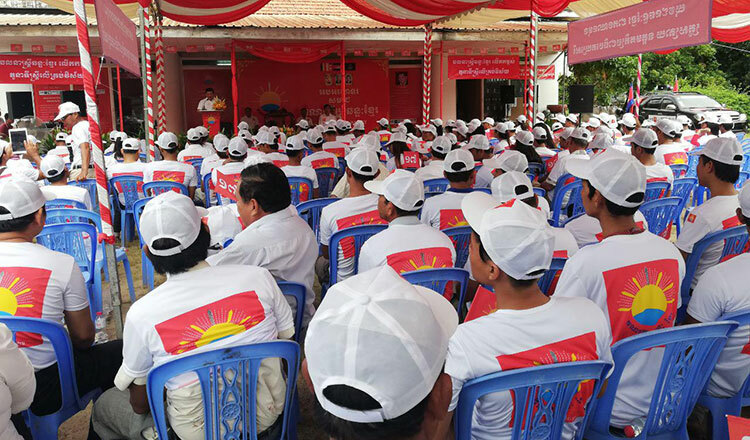 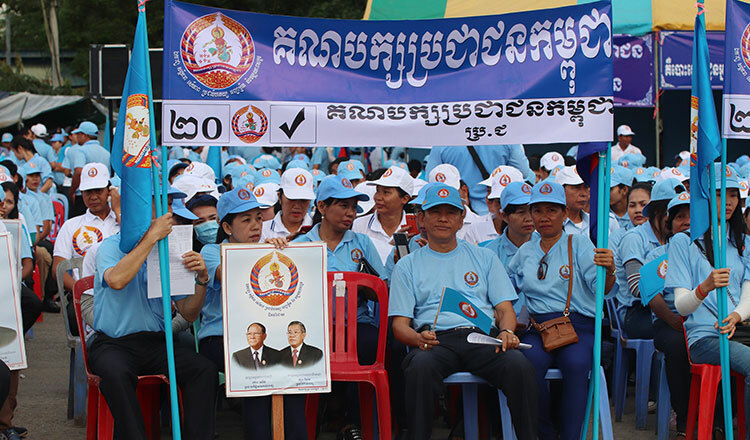 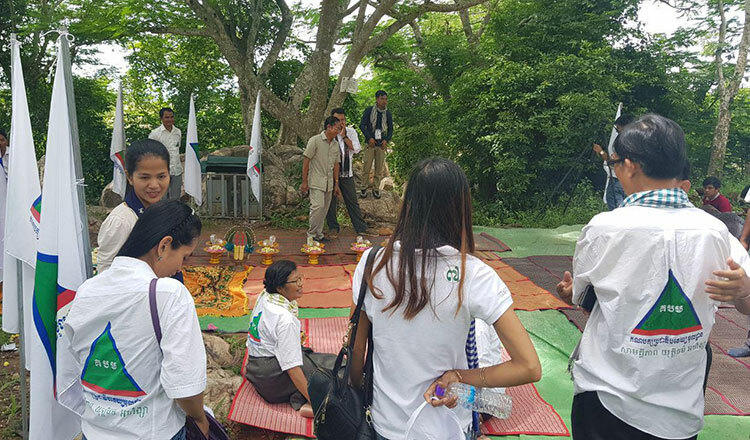 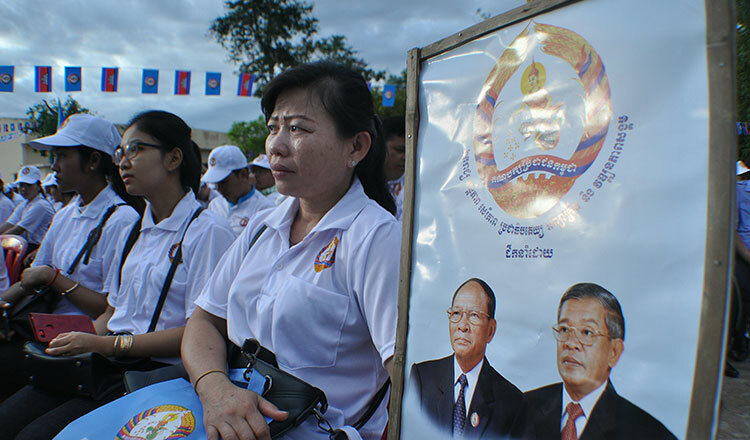 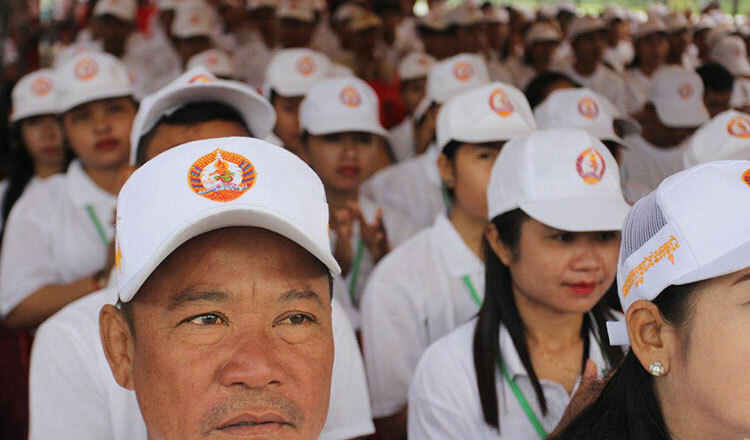 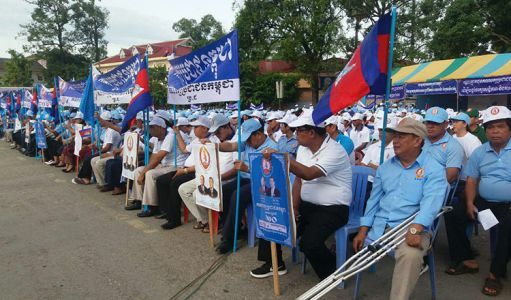 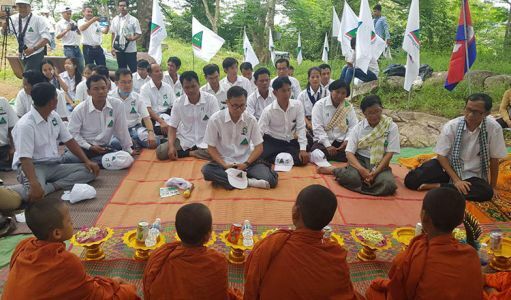 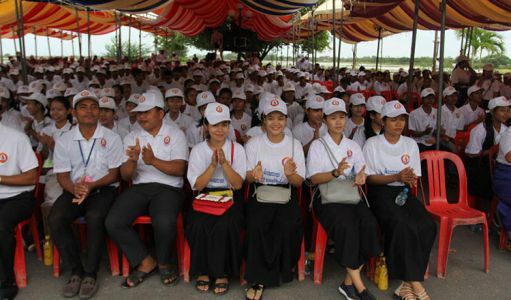 Election campaigning began this morning (Saturday, July 7) with thousands of people gathering at Phnom Penh’s Koh Pich (Diamond Island) for a Cambodian People’s Party rally. 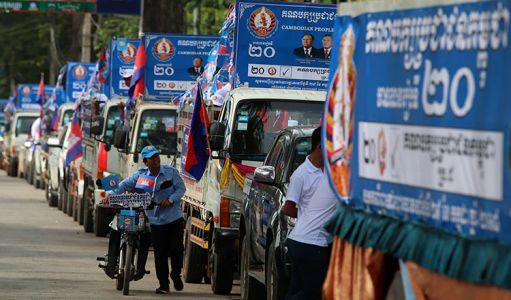 The National Election Committee has set three weeks for the 20 political parties registered for the election to campaign. 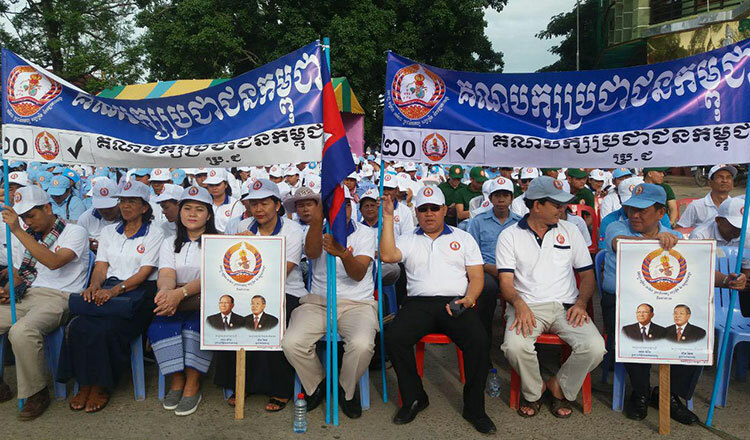 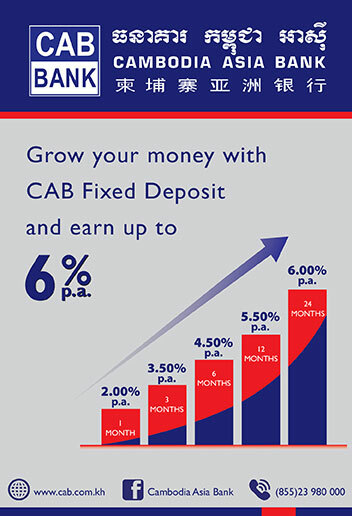 Campaigning will end on July 27, two days before Election Day. 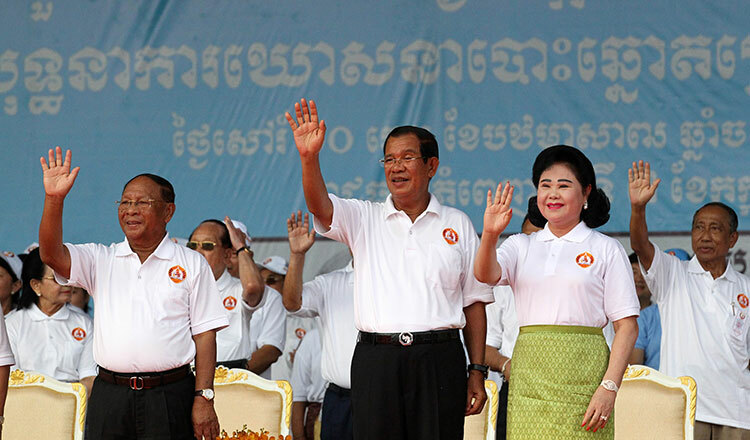 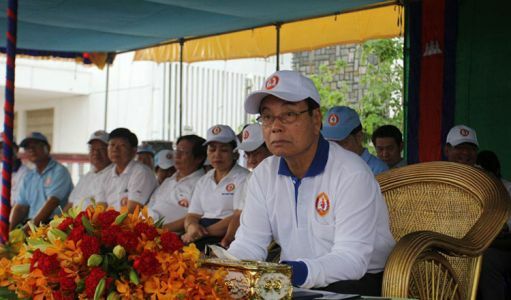 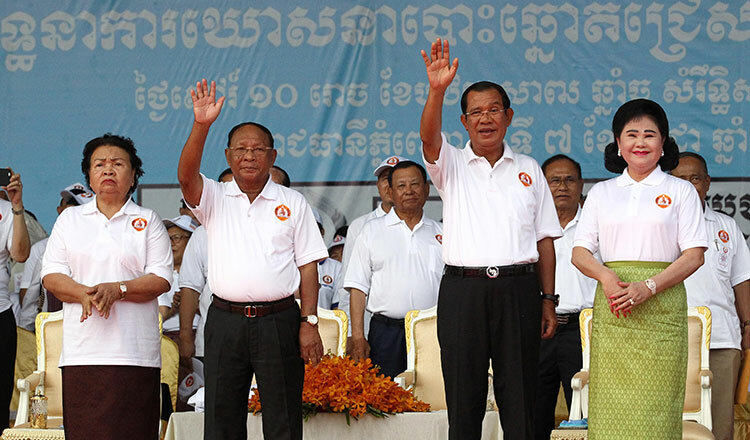 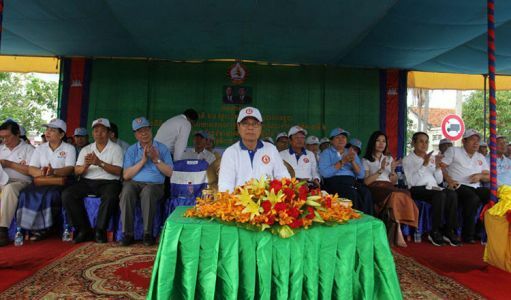 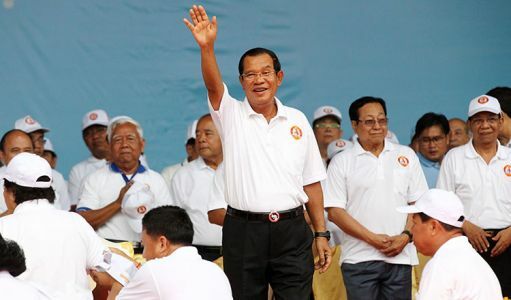 On the first day of the campaign, the CPP organised a huge campaign rally on Koh Pich at which Prime Minister Hun Sen (also chairman of the CPP) gave a speech at Koh Pich to the assembled 60,000 supporters. The PM praised the achievements of the ruling party and his government in the three decades following the civil war. 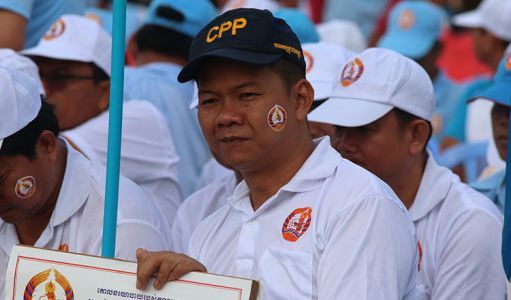 The CPP is expected to win the election as there is no major party to oppose the CPP, and the smaller parties struggle to gain votes. 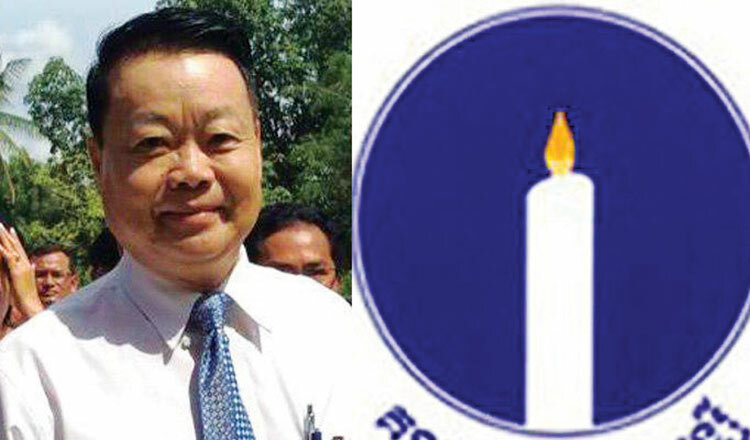 The oppositional CNRP (Cambodia National Rescue Party) was dissolved in 2017. 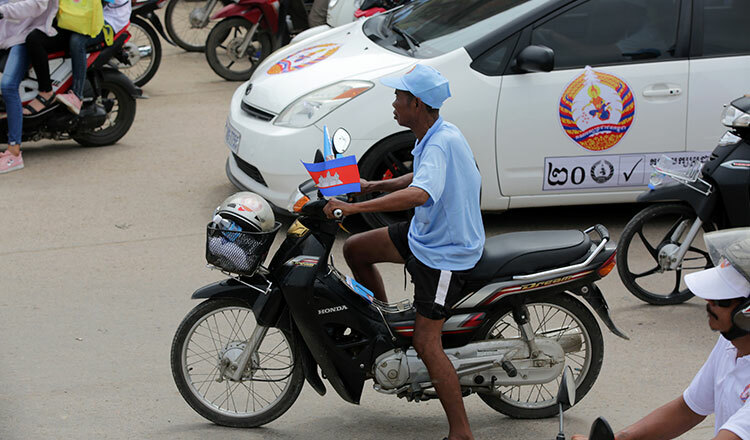 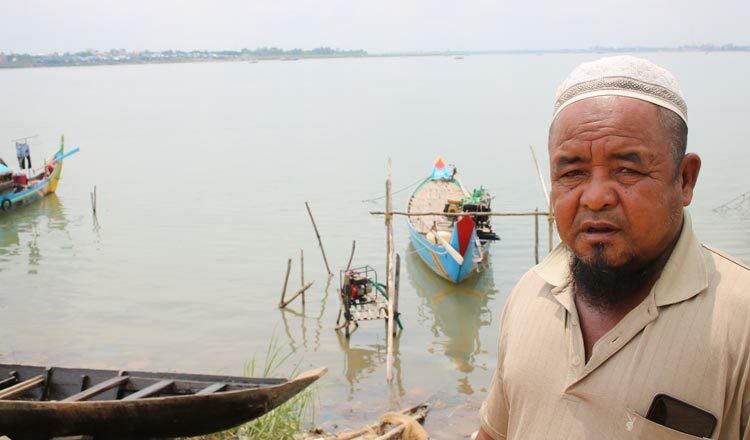 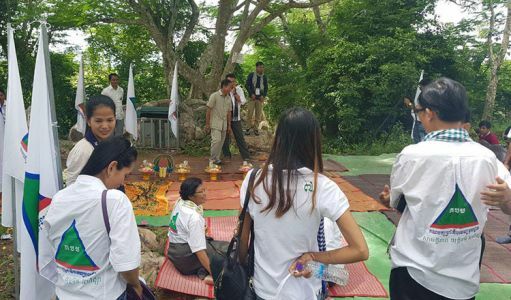 Chan Samnang, a 52 year old farmer from Kandal province, arrived at Koh Pich city hall around 6:00 am. 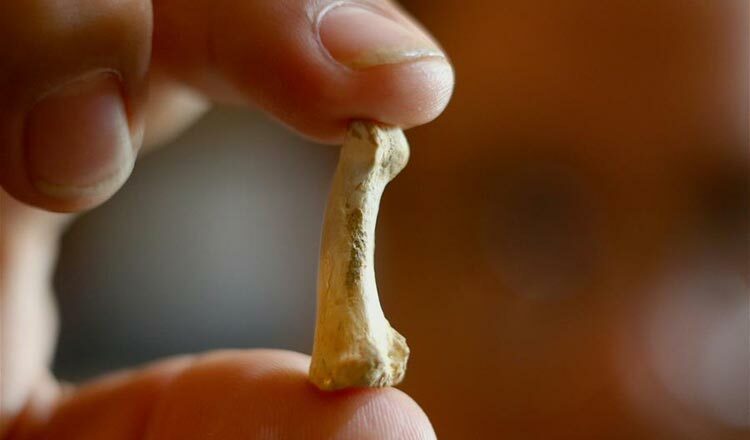 He is excited to be a CPP member and will certainly vote for the party. 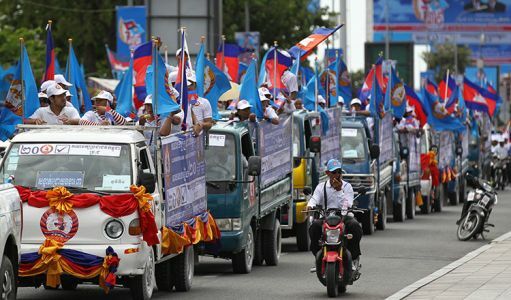 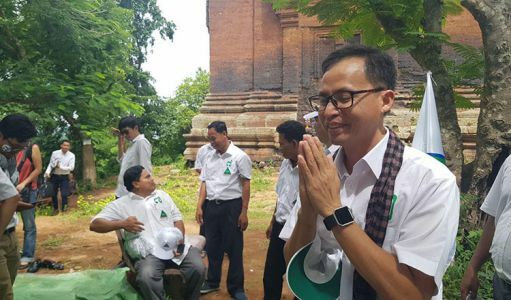 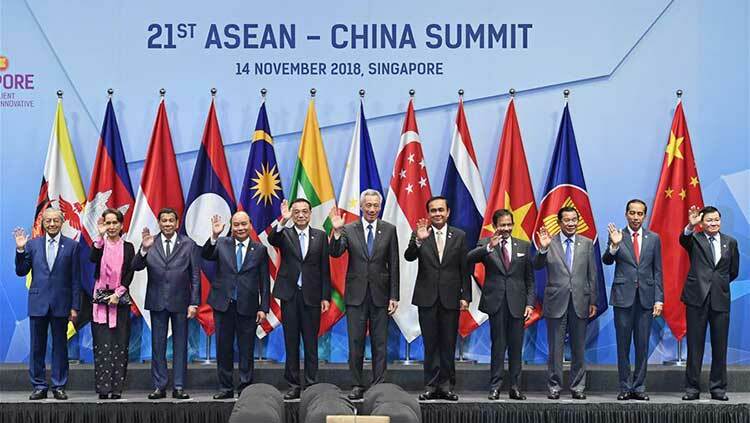 Waving the Cambodian flag from atop a truck young Ms Vattey is also full of praise for the PM, and thinks those who are not pro CPP are misguided.